Brian O’Doherty and Dan Graham have been friends and collaborators for more than fifty years and, at the age of seventy-six, beyond walls will be Dan Graham’s first solo show in Ireland. This exhibition looks at the shared practice of O’Doherty and Graham, notably their use of text in art. Celebrating the uncovering of One Here Now after more than two decades, beyond walls will feature two important film works from the early years of Graham’s career. The exhibition will also feature a complete copy of Aspen 5+6, which marked the first time that the artists worked together. This performance work featuring two actors was first staged at Lisson Gallery, London in 1972 and is shown here as a film work. In the early 1970s O’Doherty was the director of Visual and Media Arts for the National Endowment for the Arts in New York. 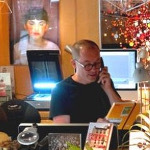 During his tenure he became a champion of process art and in particular the nascent medium of video art and helped to support the development of the form especially with artists like Dara Birnbaum, Joan Jonas and Dan Graham. Like Past Future Split Attention this work was recorded on video in front of a live audience. Graham, as performer, discusses his observations, his movements and his thoughts with the audience observe him and themselves via a mirror at the rear of the stage. The rapid delivery of the monologue echoes the shared interest he and O’Doherty have in the use of text within contemporary practice. The exhibition will also include a double edition of the conceptual magazine, Aspen. In 1967 Brian O’Doherty was employed to edit a double copy of the magazine. 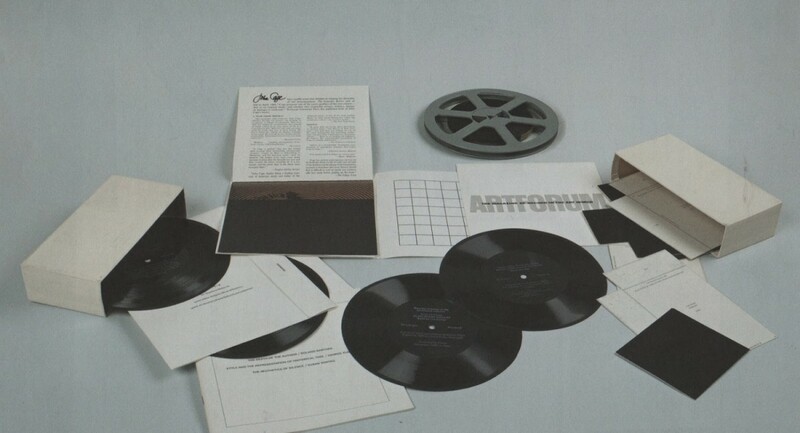 Aspen 5 + 6 , was a small box that contained a book, four films, five records, eight cut-out boards and ten printed texts. It was conceived by O’Doherty as the first exhibition to completely dispense with a gallery and he wanted to include works by artists of his own generation, including one of Dan Graham’s March 1966 conceptual poems. This unique event will see the audio elements of Aspen 5+6 played back from the original floppy disks, possibly for the first time ever, including recordings by William Burroughs, John Cage, Merce Cunningham, Marcel Duchamp and Naum Gabo. We would like to acknowledge the support of Lisson Gallery, Electronic Arts Intermix, Mary Ruth Walsh, Aideen Barry and especially Dan Graham for their role in making this exhibition possible.